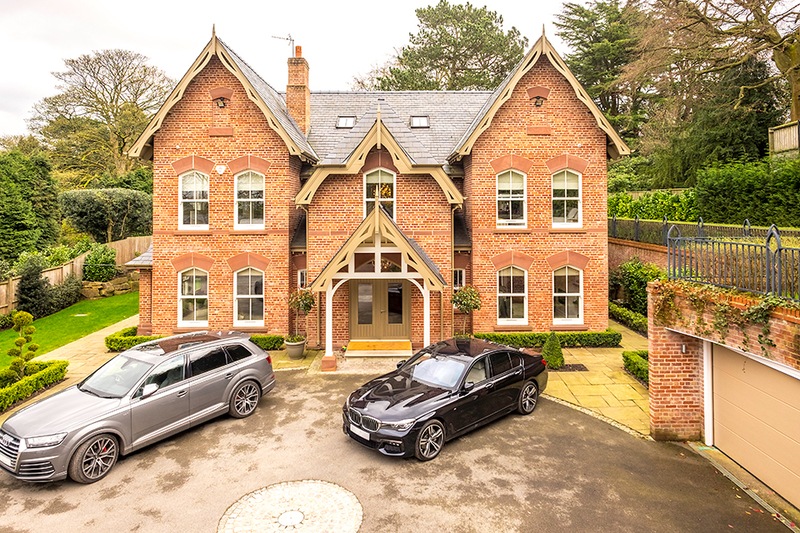 We worked with a private client in Alderley Edge to demolish an existing house and replace with an enlarged two-storey Victorian style 5-bedroom house. The design included a double garage, reworked gardens, paths and driveways to the front and rear. The design incorporated a natural slate roof, stone, features and sash windows. The house provides 5 bedrooms, 3 with ensuites, 4 reception rooms, a large kitchen/breakfast room and a feature staircase. New company will fuse architecture, interior design and landscaping to create dream homes across Cheshire. Registered in England and Wales: 10398139.